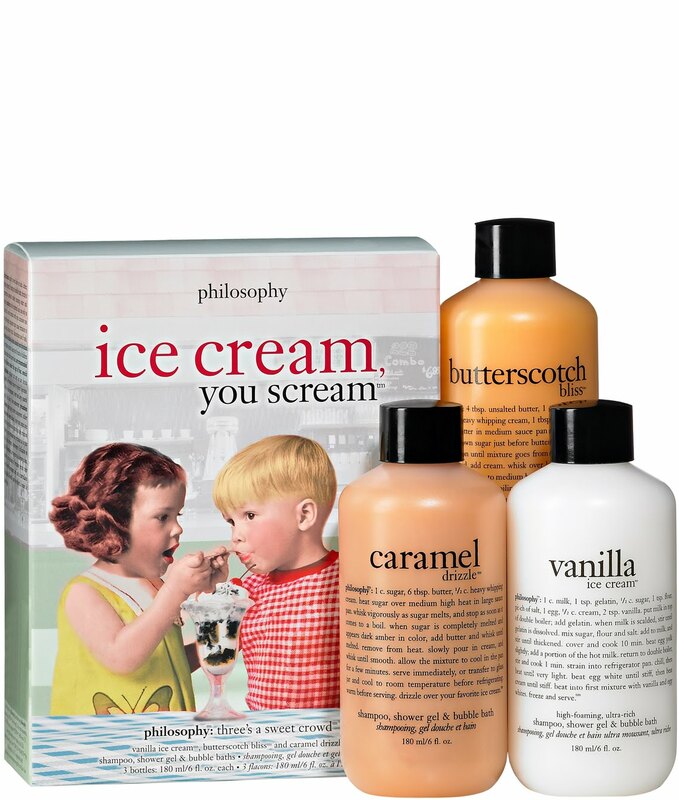 If I could only use one brand of shower gel for the rest of my life, it would most definitely be Philosophy. Every scent is divine, delectable, delicious! I love the scents they come out with every season, and the gift sets they create are so adorable. And the Ice Cream, You Scream set is no different! The set of three 6 oz. 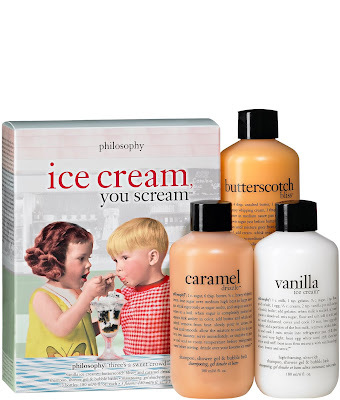 sweet-smelling 3-in-1s (shower gel, bubble bath and shampoo) includes Vanilla Ice Cream, Butterscotch and Caramel Drizzle. Divine, right? And now one lucky winner has the chance to receive the set, worth $30! To enter, place your name and email address in the box below. The winner will be selected on Friday, August 27 and notified by email. This giveaway is open to US residents only. Giveaway runs until Thursday, August 26 at midnight. One entry per person, email address and IP address. Multiple entries will be disqualified.